Sleeping is our way to refresh and re-energize so we’re ready to get back to work, school, and play the next morning, and the best way to get a good night’s sleep is to make sure you have comfortable, quality bedding. Jaipur Fabric offers high-quality, handmade bed sheets and affordable options for comfortable bedding. Jaipur bed sheets are stylish additions to any room, and buying online quality bed sheets is made easy with affordable prices! 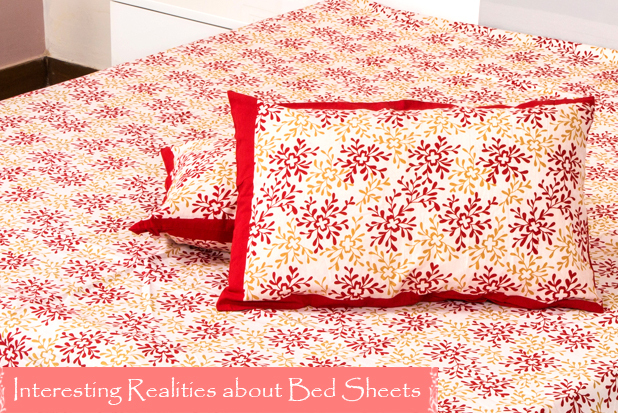 Printed bed sheets and hand-sewn Indian bed sheets are all available, so shop now! No matter where you’re shopping, there’s one thing that remains of the up most importance: thread count. Thread count simply refers to how many threads are used to make the sheets, a pretty simple explanation in reality. But when you actually get in bed, you’ll realize the important of a high thread count. The thread count will decide how soft the sheets will be, a higher thread count means thinner, finer thread must be used to sew the sheets, meaning they’ll be softer and smoother. A high thread count also means more density, which means stronger, more-durable bed sheets. Higher density also means less airflow, though, which can be a bad thing in warmer climates as it doesn’t allow warm air to escape as easily. Material is also very important when it comes to bedding. Cotton sheets are comfortable, but even softer are silk and satin. Cotton sheets are both comfortable and affordable, and they also allow the most diversity in print and pattern as they can be sewn to display designs. There are different types of cotton: Egyptian, Pima, and cotton blend. Egyptian cotton is the most durable, but also the most expensive. Pima cotton is still soft like Egyptian cotton, but it’s made with shorter fibers meaning slightly less strength. Finally, a cotton/polyester blend is a mix of different fibers and is typically the easiest to care for. The way that a sheet is sewn and finished matters a lot. There are four main weaves for bed sheets. Percale weaves make sheets that are overall pretty lightweight (great for warmer weather) and the weave itself is close and tight. Percale bed sheets tend to have a smooth, crisp feel to them. Sateen has more yarn surface than other bed sheets, meaning it will have an incredibly soft and smooth feel to it. It’s lustrous finish resembles satin. The third type of weave is twill, which is used made by working welt and warp yarns together to create a diagonal line that give the effect of a ribbed appearance. The last weave is flannel, which is brushed cotton. Flannel is best for colder climates as it’s actually not made with thread, it’s cotton that has been pulled into a sheet (meaning it’s measured in ounces of cotton and not with thread count). “Extra deep” sheets fit mattresses up to 18” thick. 1. Hang out side when you can as this will help give your sheets a clean, fresh scent. Plus, sunlight kills germs! Don’t wash or dry sheets with towels, it ruins their softness! 3. If you’re putting them in a dryer, throw some tennis balls in as well. This will help them dry faster and help stop them from knotting, both of which helps prevent shrinking. 4. Don’t use fabric softener! It doesn’t actually make the sheets softer; it coats them with chemicals to make them feel softer. The coating wears your sheets quicker and not to mention it’s bad for your skin. Don’t over-wash your sheets, this will quickly wear them and can cause rips and tears.